Vevi — MFW Wine Co. 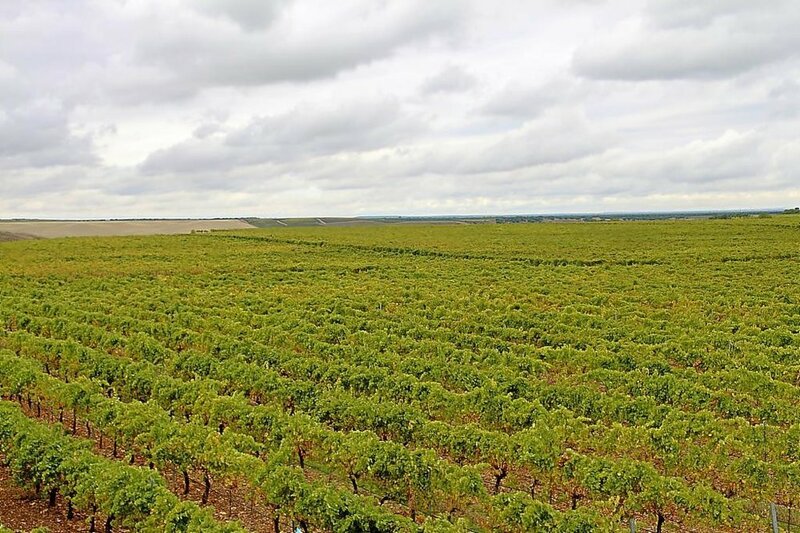 The wine region Rueda is located in the heart of Spain, in the southwestern part of Castilla y León. It is high in elevation and possesses a continental climate with wide shifts between very warm days and cold nights. Rueda has a long tradition of winegrowing and is the ancestral home of the noble Verdejo grape. Verdejo makes one of the most distinctive white wines in all of Spain. Vevi Rueda is a cuvée made especially for Vinos de Terruños in collaboration with Silvia García, an organic farmer and vintner with deep roots and intimate knowledge of the Rueda region. Vevi expresses the unique personality of the native Verdejo and Viura grapes, along with the inherent qualities of the Rueda terruño. It is a balanced, drinkable, and food-friendly vino blanco. Fermented in stainless steel vat and raised on the lees 6-8 months before bottling.